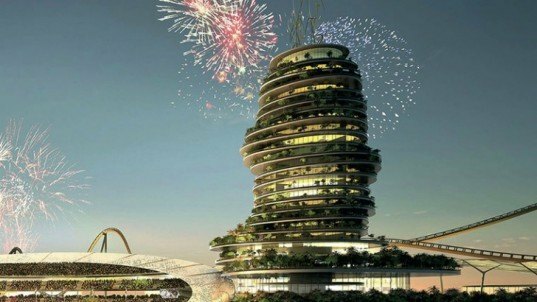 Spanish soccer super-team Real Madrid have announced plans to construct a $1 billion luxury resort in the United Arab Emirates – and to ensure a truly unique location, the sports company plans to construct an archipelago of artificial islands upon which it will be located. The resort, which has also been described as a theme park for the soccer obsessed, will include two high-rise hotels, luxury villas, a 10,000-seat ocean-side football stadium, a marina and a hi-tech museum devoted to the history of the Team. Real Madrid have announced that the 430,000 square meter project was designed by J+H BOIFFILS and will be constructed in partnership with the UAE government, and they hope to open by 2015. J+H BOIFFILS‘s island resort certainly strikes a familiar chord – we’ve seen a number of ambitious artificial islands designed for the super wealthy as of late. Azerbaijan recently released designs for the World’s Tallest Tower on an artificial archipelago located over active oil pipelines, while Qatar is at work on their own man-made island resort. Dubai, on the other hand, may still perhaps recovering from the embarrassing sinking of its island resort. Real Madrid’s president Florentino Perez hopes the UAE resort will attract a staggering one million faithful fans in its first year. He noted at a press conference that the island’s location will place it directly between the Team’s Spanish home and the 300 million Real Madrid fans located in Asia, and described it as a “decisive and strategic step that will strengthen our institution in the Middle East and Asia,” according to the Guardian. 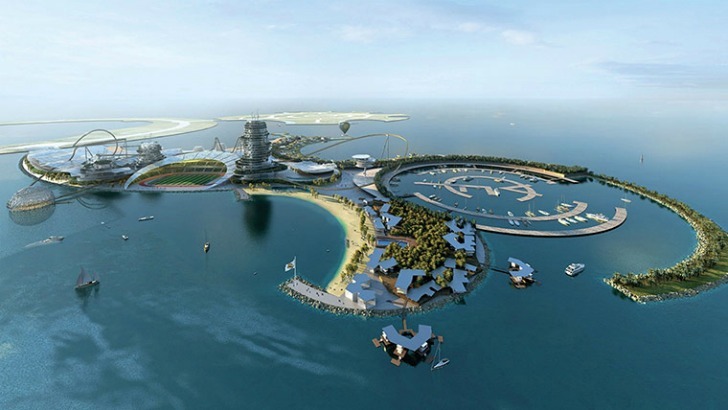 Spanish soccer super-team Real Madrid have announced plans to construct a $1 billion luxury resort in the United Arab Emirates - and to ensure a truly unique location, the sports company plans to construct an archipelago of artificial islands upon which it will be located. The resort, which has also been described as a theme park for the soccer obsessed, will include two high-rise hotels, luxury villas, a 10,000-seat ocean-side football stadium, a marina and a hi-tech museum devoted to the history of the Team. Real Madrid have announced that the 430,000 square meter project was designed by J+H BOIFFILS and will be constructed in partnership with the UAE government, and they hope to open by 2015.